As far as live gigs go, after many years and many gigs, I can say with confidence that the live show that I look back with most nostalgia and happy memories is the Cannibal Corpse gig in 1998 at Woodstock club in Athens (with Dark Funeral and Infernal Majesty). Even though I have experienced live many bands that I love more than CC (e.g. Death, Suffocation, Dismember, Pungent Stench, Entombed, Napalm Death, Slayer, Rage, Nomeansno, etc. ), the configuration of factors that night (club, friends, performance) made it unique. However, this post is about another not-so-significant gig which, however, is potentially of historical importance. That was the 2003 Misery Index-Nile-Sickening Horror gig at An club in Athens (you can see a picture of the ticket stub below). At that point I was pretty chuffed with the first Misery Index album (i.e. Retaliate) and already pretty bored with Nile, who had just released “In their Darkened Shrines” and I found it unexciting. My friends also didn’t want to join me, but I really wanted to see Misery Index so I went. Misery Index gave indeed a great performance. Members of the audience showed their stupidity in several instances. My favourite moment is when a guy kept screaming “νερό ρε Netherton”, which translates into “Netherton give me some water”. After their performance I got the chance to have a chat with Netherton, Byers and a guitar player MI used to have back then, who kept asking me if I can get him a joint. All of them were super nice and polite and we talked about Dying Fetus and the right-wing direction they were taking after Netherton and co.’s departure. The opening band, Sickening Horror, was a greek band that certainly amazed me with their super-technical, swampy and disturbed brutal death metal, which reminded of late 90s Morbid Angel, Gorguts, and in general the brutal technical scene that emerged around that time with ambassadors from all around the world (now that I think about it they also sounded a bit like Devilyn!). I also got their demo-cd for free in the entrance of the club. What amazed me most of their performance, though, was their drummer. I couldn’t get my eyes off him! And apparently, Nile couldn’t get their eyes of him either… The drummer’s name was George Kollias, now one of the most respected drummers in extreme metal circles, currently playing with Nile. I have no idea whether that night was the night when the connection between Nile and Kollias was made, but I think it could have been… And that I think would make it a minor part of brutal death metal history! Social capital is among the most used concepts in the social sciences in the last 15 years. It refers to resources available to people through their social links. More correctly, it refers to the social contructs themselves which allow actors that are a part of them to benefit in various ways. Others may equate the concept with trust. In many instances it’s being used inappropriately (e.g. the occassional simplistic positivist account of explaining economic success by looking at the associational activity in an area), but in any case, the concept of social capital is really fun to employ and explain phenomena of our everyday life, without being too picky about it. Today I thought of an event that happenned in Athens a couple of years ago. In the area of Monastiraki, in Athens Greece, there is a cluster of record stores that sell new and used vinyl records. Some of the shops are 10, 20 or even more years old, some others are younger. Each store owner is more or less specialised in a specific genre. Shiva records in metal, Tsampas in rock and metal, another nationalist-idiot that my friend Nick has named “the knight” in metal, 7+7 in alternative (and rock and metal in the past), Oh aman market in greek music and rock, (Zaharias is a bit of everything) and others. We could then say that there is a relatively high level of specialisation in different genres. Each owner has knowledge of what is rare in the genre they specialise in. It would be very difficult to buy a rare metal album from Shiva in a low price, becuse he would be aware that it is rare! Similarly, it would be impossible to buy a rare greek record from Oh aman for the same reason. However, my friend Nick bought 2 years ago “the Labyrinth” by Sokratis Malamas, the edition that got recalled after it was released, with the name of the album on the cover, just for 5 euros!!! That happened because he bought it from an idiot who traded metal, but happened to get his hands on that greek artist. Record collectors would be willing to pay 100 euros for that one. I bought the amazing second Nuclear Death album (Carrion for worm) just for 8 euros or so around 7 years ago, from Oh Aman, the greek music store!!! That album again is super-rare but the shop owner couldn’t have known because he didn’t know where to get information on the record from! That shows me that neither the norm of reciprocity nor the norm of trust is in place in monastiraki among the record shop owners. If one shop owner thought that he/she could trust other shop owners with asking for information on a rare record then they could sell it in the appropriate price. Instead, what happens is that shop owners often “inspect” others’ stores to see if they can find a rare record the others are not aware of. Moreover, noone expects the other to reciprocate the favour. What happens is that a shop owner does not expect others to provide her help when needed and also she doesn’t think that others expect her to provide them with anything as well. 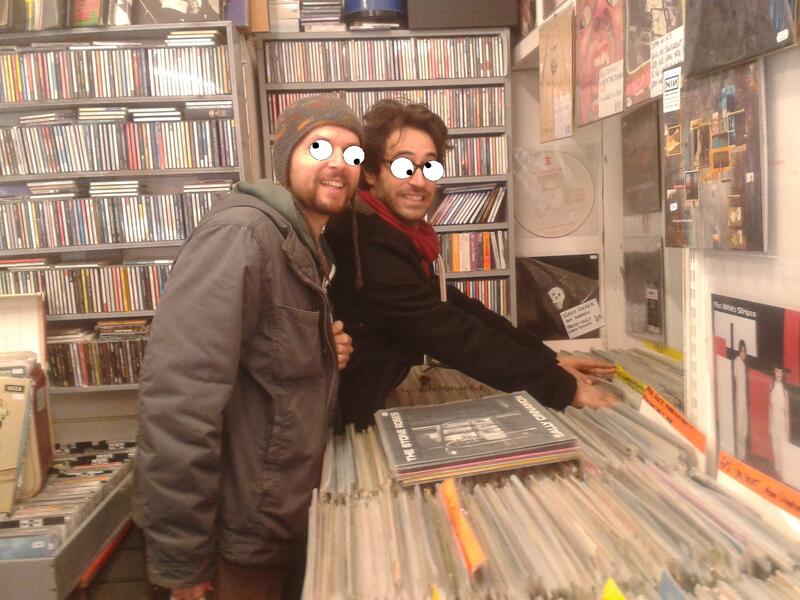 This non-cooperative culture works for the benefit of record-buyers, in this example me and my friend Nick. Of course, someone could rightfully question my analysis by arguing that it is not a matter of lack of social capital but of arrogance. Shop owners are arrogant in the sense that they think that they know everything, that they are the oldest in the business, that it’s not possible that others know more than them. Also with regards to certain sub-genres, like death metal, even metal record shops were illiterate until the late nineties when these apes discovered internet. 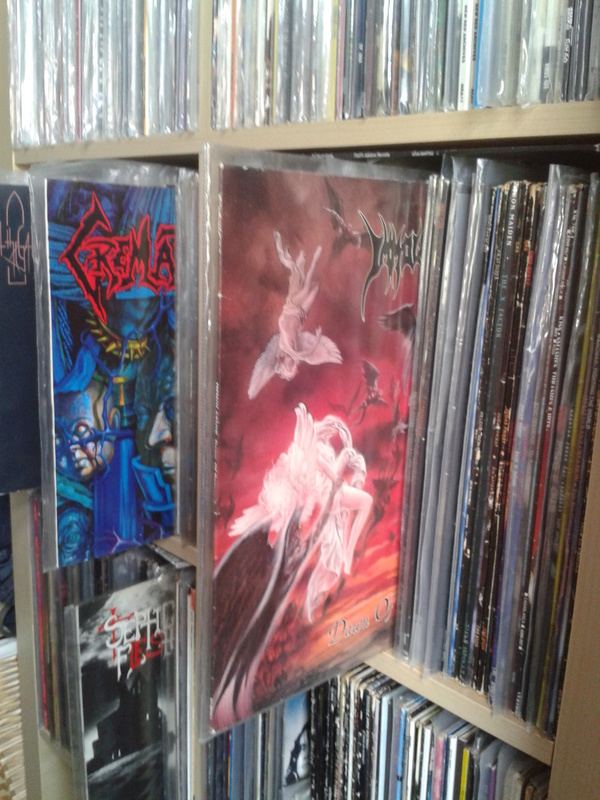 Oh my god, how many cheap records have I bought from suckers like Shiva back in the day… Altars of madness 1500 dr (4,5 euros), From beyond 2000 dr (5,5 euros), Master, Demmolition Hammer, Terrorizer, Cannibal corpse, … 4-6 euros. Good times. Who says that low endowments of trust is always a bad thing!? Below is a video with Nuclear Death and the amazing Lori Bravo. She is among the most amazing death metal vocalists ever! Brutal, sick, unpolished, honest, innovative. For me, the most extreme band on earth, period!